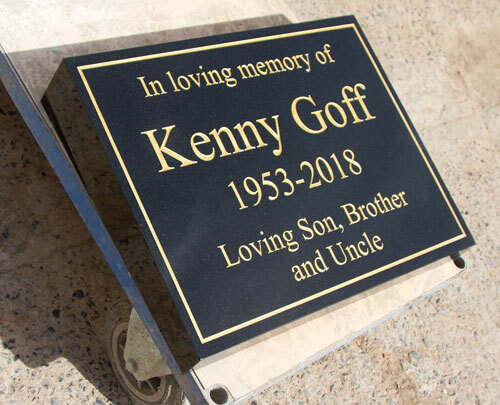 When a large amount of small text is required we suggest mounting an engraved corian memorial plaque onto a granite wedge. 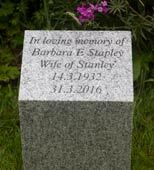 As standard we use a polished silver grey granite or a polished black granite which are made in the sizes listed below. 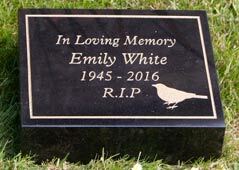 Stock sizes are very good value but bespoke sizes and other colours can also be quoted for. 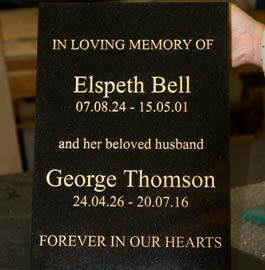 For lettering at least 20mm high we can engrave the letters directly into the granite wedge. We do this using our sand blasting technique. 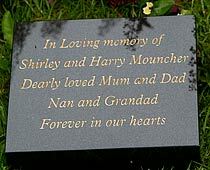 The letters are then painted - black, dark blue, grey, cream, white, silver or gold. We also have Farrow & Ball match - Lichen which is a pale green and F&B Purbeck Stone which is a light grey. We can use any of the fonts on our list but for the smaller lettering suggest using a bolder font without serifs. We keep the Black Granite Wedges and Silver Grey Granite Wedges in stock in the standard sizes. 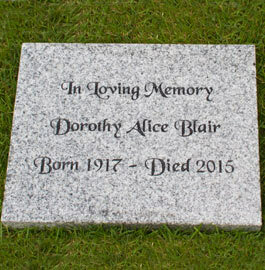 We also have stock size granite plinths in five colours. These are very attractive especially when wet as all the layers of slate on the surface of the wedge look incredible beautiful. The surface of the wedge is polished to a silky smooth finish. 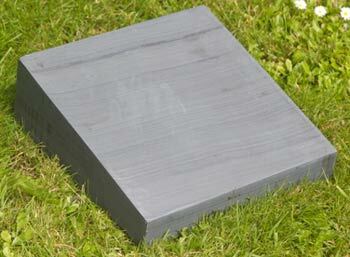 However please be aware that the slate will have natural features running through it. Click here to see a typical example. 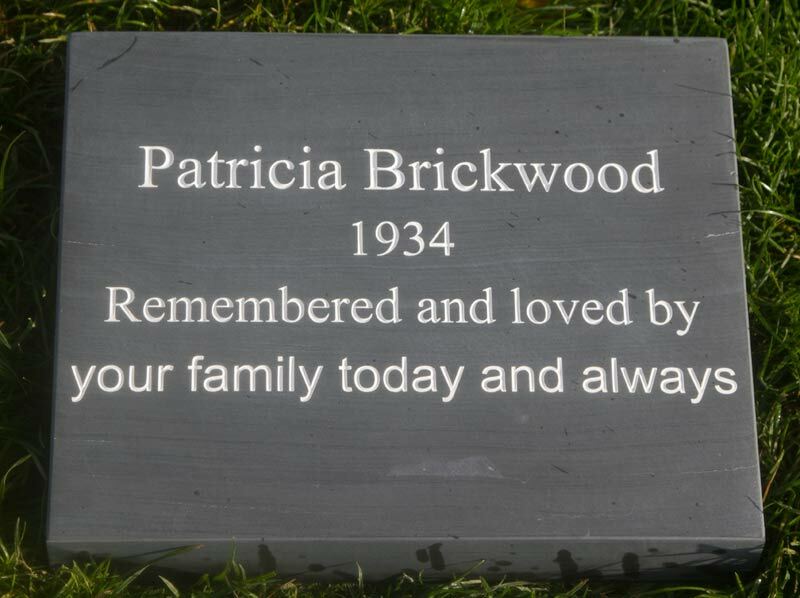 Engraved lettering on slate wedges can be as small as 15mm high - this is smaller than granite. For small letters use simple fonts without serifs. 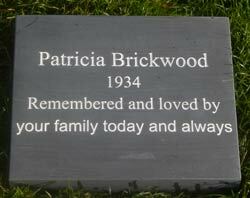 As standard letters can be left unpainted or painted - black, grey, cream, white, gold, Farrow & Ball Purbeck Stone which is light grey or F&B Lichen which is light green. For other paint colours - click here. 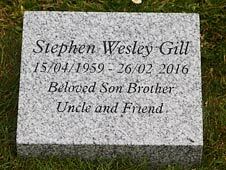 As with the granite wedges, images can be used on the slate wedges - details as above.